Elizabeth Marshall Anderson is a managing associate in Orrick’s White Collar, Investigations, Securities Litigation & Compliance group. 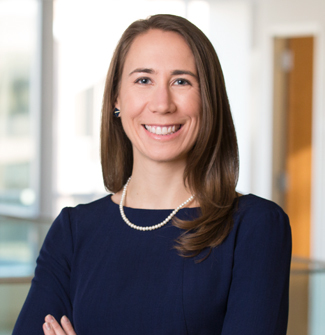 Elizabeth (Liz) represents companies and individuals in government investigations, regulatory enforcement matters, internal investigations, and complex civil litigation. Liz focuses on white collar, accounting, and securities matters and has appeared on behalf of banks, investment advisors, accounting firms, and broker-dealers in federal court and before the Securities and Exchange Commission, the Department of Justice, and the Office of the Comptroller of the Currency, among others. She has experience conducting large internal investigations related to accounting and compliance issues. Liz also represents individuals in shareholder securities class actions.